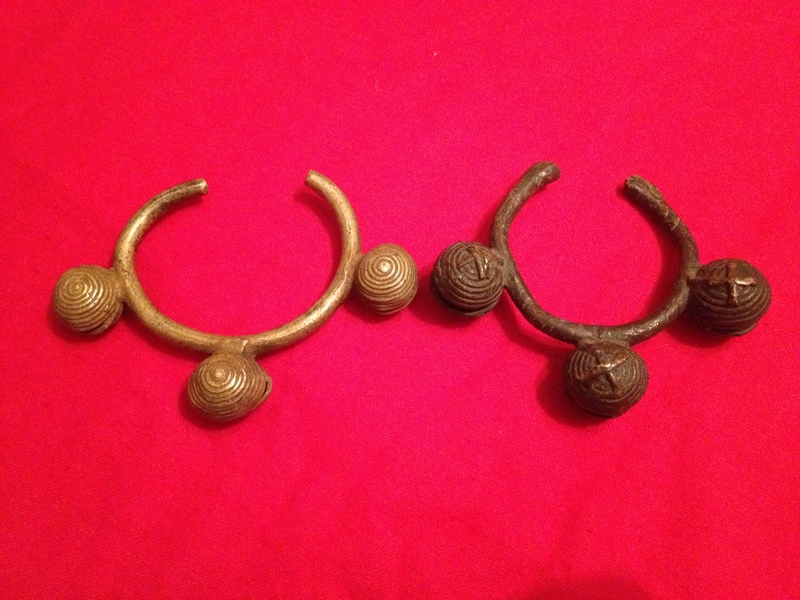 I picked up these two brass slave bracelets from a collector in Nashville Tenn. What makes these so unique, is that they have bells on them. If you examine them closely, one can see different markings on the bell housings. Was told that these date back to the mid 1700’s.